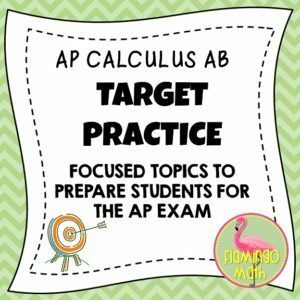 With only a month of review days left to prepare, many AP Calculus teachers are counting down to the 2018 AP Calculus Exam day, set for 8:00 am on Tuesday, May 15, 2018. Let me share a few of my ideas for a Student Review Portfolio to help focus our students in preparation for this BIG DAY! It is important that our students understand the expectations of this intense practice. Remind them that everyone learns in a variety of methods, some prefer to work in groups, while others prefer to work alone. The majority of the assignments assigned should be attempted independently, so students can analyze their ability on each problem. After they have tried the problem and assessed themselves, then it is acceptable to collaborate with others (including grading rubrics, video lessons, teachers and friends.) Students should be encouraged to keep a list of what they need to work on, so that they can better prepare for the exam. This post is a 5 point approach to creating a Portfolio to Test Prep. Here are some of my ideas that I have used in the past. Find a set of multiple choice questions that can be sent home for practice. 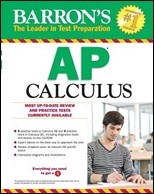 You can use released AP Calculus®AB questions or some alternate resources like Barron’s AP Calculus Review Book or D & S Marketing AP Calculus (AB) Examination. Have your students work the questions, at home, on one side only of loose-leaf paper. Provide solutions and have students work corrections in cooperative groups on the back side of the paper. Encourage them to highlight any discoveries, rules, theorems, and errors in thinking, in another color. This will help them in the final days of their independent review. 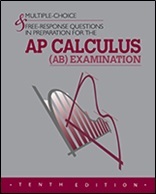 The AP Calculus® AB Secure Practice Exams are from 2103, 2014, 2015, 2016, and 2017. They cannot be taken out of the classroom. Use these documents for timed, in-class multiple choice review sessions. In his blog, Teaching Calculus, Lin McMullin has posts on each type of question stem that is tested on both the AB and BC exams. You can read about them for more information. I have taken his ideas for my Focus Topics Cover Sheets to help my students. I am only discussing the AB Focus topics in this post. I like to create a packet of 6 FRQs on each topic. Students are responsible for completing 4 of the 6 Free Response questions for each given focus topic. You can download a FREE FRQ List By Topics that I created here. If students complete all six prompts, there is an opportunity to earn bonus points for their 4th quarter grade. Be sure to include whether the question is calculator active or inactive. Make a packet, with your choice of 6 FRQ’s, use the Focus Topic Cover Sheet and Notes page for each student. You can find an itemized list of each Focus Topic in my End_of_Year_Assignments PowerPoint document. Distribute 2-3 focus topic packets each week and provide class time for cooperative work. On the first day, have students work through one free response in a timed, 15-minute session. Then, have them share out their work and responses. Corrections should be done in a different color during this discussion period. Once again, it is for their benefit to better prepare and focus. Explain the importance of working toward completing one FRQ in 15-minutes. Encourage them to try this at home and move on to the next question at the end of every 15 minutes. If they don’t practice, they will panic! There are definite concepts and topics that your students will tell you they still don’t understand, if you ask! This is a great opportunity to re-teach those lessons in a single session. Just survey your classes to find what they need. Then, grab a few practice assignments and scatter those lessons throughout your review days. I have a bundle of such concepts in my TARGET PRACTICE SET. It provides variety and prevents monotony and boredom. If you have time, choose one secure document (in your AP Calculus Secure documents account) to administer during a single session, about 2 weeks prior to the exam date. Our school provides a single Saturday session at the end of April, every year. We bring breakfast, drinks, and snacks for about 150 students. It’s a BIG DEAL, and now a tradition, that students look forward to attending each year. Word spreads about the effectiveness of practicing and the value that this intense 4-hour workout provides. If you can’t manage such an event, break up the pieces to fit your school class schedule. If you have 90-minute blocks, you can complete the exam in 3 class settings. If you have 45-50 minute classes, it takes a little more creativity on the Part A multiple choice section and the Part B Free Response section since those are 60 minute portions. These will overlap into two days, but you should be able to complete the entire exam in 5 class periods. My colleague and I hold Saturday Boot Camps where students can work on their portfolio from 8 am to noon for at least 4 Saturdays during this last quarter. When we first started to offer these Saturday sessions, there was no funding to do this, just permission. We felt it was important to help our students succeed. We noticed a marked improvement in pass rates. Now our district offers extra pay for extra tutoring sessions at this time of year. As a final note, this intense practice is the main portion of our fourth quarter grade for students. When taken seriously, the portfolio becomes a personal product of knowledge, skills, and growth, in preparation for the exam. If you need some ideas, I’ve included my End_of_Year_Assignments in PowerPoint form, so you can alter the documents to meet your personal needs. After the AP Calculus Exam, all students peer grade the portfolios. Each student must grade 3 other portfolios on a grading sheet which I have included. They turn in the grading sheet when complete. I look for a median score among the 3 graders, in order to find equity for the student. If one grader is an outlier, I have them explain their scoring method to me, or look through the portfolio for any discrepancies. You might also continue to teach new topics that relate to BC Calculus, offer a project, or have students create a College Banner for some fun relief to a year of intense mathematics. How do you prepare your students for this exam? I would love to hear your ideas. I love these ideas, thank you for sharing! Do you give the students the FRQ solutions so they can grade themselves? Or do you go over the solutions for each one in class? I encourage students to work through the FRQ in a timed-setting at home. This gives them the opportunity to practice what they know and discover topics that they don’t know. Then, in class, we work in groups and do the corrections. I make a packet of the Scoring Guidelines for the Focus Topics on different colors of printer paper. They are always available in the classroom for their use. This seems to work effectively for the majority of students every year. There will always be that handful who “game the system” and just want the grade. Or, those that have decided they want to use their AP Exam Prep time for courses other than Calculus. I work on encouraging those learners to give this method a try and aim for a passing score. Sometimes I win a few over!